"…one of the great early 20th century civic monuments of New York City." 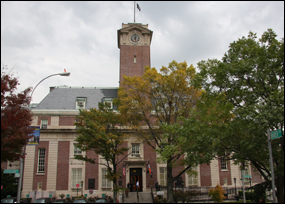 The Staten Island Borough Hall is located on Stuyvesant Street and Borough Place. It houses the Borough President's Office, offices of the Department of Buildings and other civic offices. The building was built as the Borough Hall and continues in its original use. Richmondtown was the County Seat of Staten Island before consolidation with New York City in 1898. The Civic Center was moved after this to St. George, which was considered to be more conveniently located. George Cromwell, the first Borough President, played a major role in the construction of a grand Civic Center. In office for five terms, from 1898 to 1913, his original plan was to build a series of public buildings along Richmond Terrace, from Park Square to Borough Place. Each building would sit in its own garden and would be integrated with the others. He hoped to build a Federal building, a post office and a museum. Borough Hall and the County Courthouse were the only two buildings built as part of that plan, but the large and architecturally impressive civic buildings and their landscape create a smaller but still dynamic Civic Center. This French Renaissance style brick building is three stories high with a massive two-story mansard roof. There is lavish limestone trim, including a stone base, stone center entrance, window enframements and Doric columns separating the windows. The high clock tower in the center can be seen from the harbor and throughout St. George. The plan consists of a center section and two pavilions. The front façade faces Richmond Terrace and overlooks the harbor. Borough Hall was designed by Carrere & Hastings, one of the most influential firms in this country in the early twentieth century. John Carrere (1858-1911) and Thomas Hastings (1860-1929) both attended the Ecole des Beaux Arts in Paris and worked at the firm of McKim, Mead & White.  They started their firm in 1885. Carrere, a resident of Staten Island, helped select the dramatic hilltop site of Borough Hall, and was involved with the plan and development of the Civic Center. The firm designed the Richmond County Courthouse next door, the Ferry Terminal (burned) and the St. George Branch Library. Other Carrere & Hastings designs include the New York Public Library, the monumental Manhattan Bridge Approach, and the first congressional office buildings in Washington, D.C. (the Russell Senate office building and the Cannon House office building). On the inside the grand marble lobby contains a series of significant WPA reliefs and murals painted in 1940 by Frederick Charles Stahr, illustrating events in Staten Island history. The second-floor courtroom has carved wood paneling, a coffered plaster ceiling and early furniture. 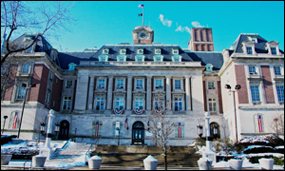 Staten Island Borough Hall is a designated New York City Landmark.